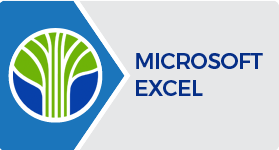 Learning Tree is proud to offer the following Microsoft Excel Specialist & Expert Certifications, so you can validate your Microsoft Excel skills. As a Certified Specialist in Microsoft Excel, you are able to analyse business problems to make quick and accurate decisions, build sophisticated spreadsheets, perform "what-if" analyses, apply functions and manipulate PivotTables. As a Certified Expert in Microsoft Excel, you have the demonstrated ability to simplify complex task, as well as to mine large amounts of sophisticated data to provide business intelligence through the use of Excel's robust Power Pivot tools.